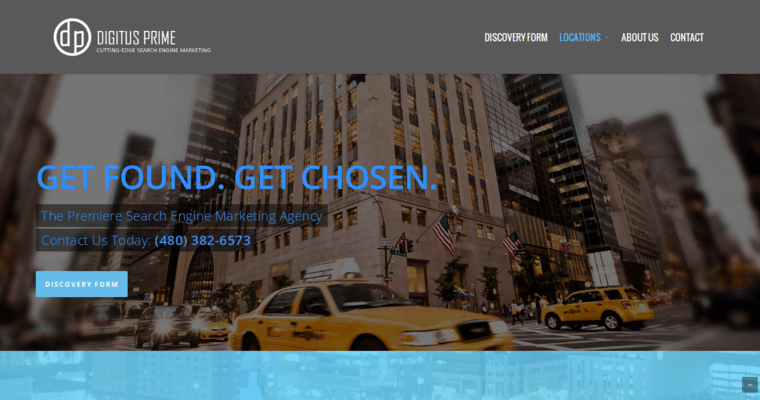 Digitus Prime is a cutting-edge search engine marketing agency that works with small businesses to drive growth. The team at Digitus Prime leverages their proven expertise to help clients attract more customers. 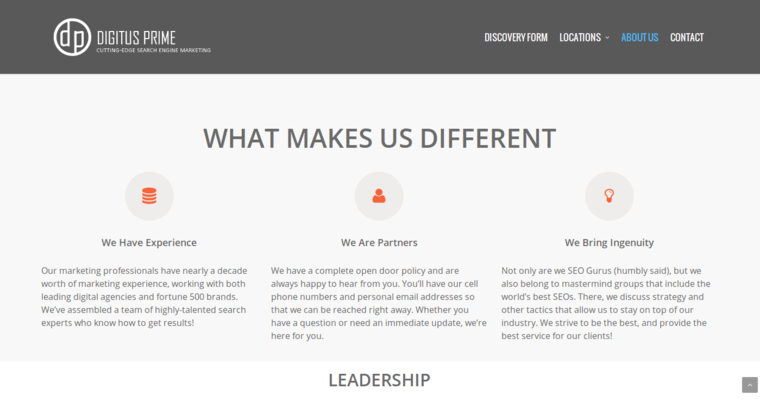 Their transparent process involves discovery, ROI strategy, launch and reporting. Their services include search engine optimization, pay-per-click advertising and social media marketing. Digitus Prime is unlike many traditional agencies in that they view clients as partners. They have an open door policy and grant their clients full access to the team, always providing immediate answers to questions. Another unique aspect of Digitus Prime is that they are members of mastermind groups who are experts in SEO. This level of knowledge is leveraged to maximize brand strategy. 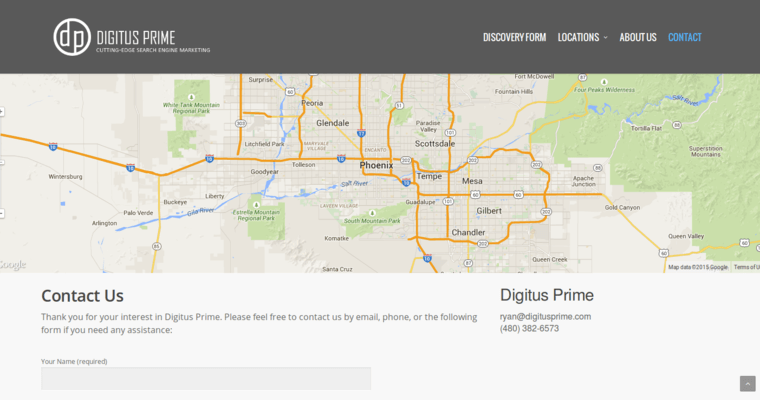 Digitus Prime has offices located in Phoenix, Scottsdale and Mesa, Arizona. They are often highly recommended by clients and have championed the success of Fortune 500 brands across industries.